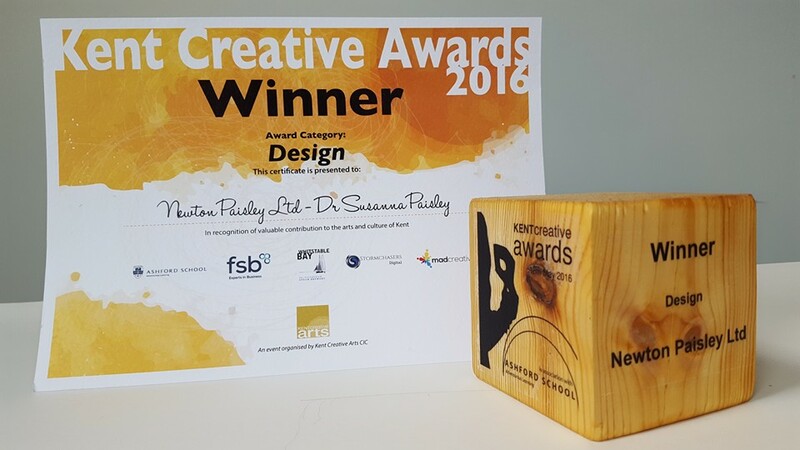 It was a great delight and surprise to win the Design Category of the Kent Creative Arts Award. I met some incredible people and felt thoroughly proud of the county where I live. The design for which I was awarded this prize was the English Lorax, my homage to the book by Dr Suess. The Lorax has a particular personal significance for me. For one thing, it is simply one of my favourite books, and one I have taught many times to groups of children when doing environmental education. The Lorax is the book of which Theodore Geisel (aka Dr Seuss) was most proud. 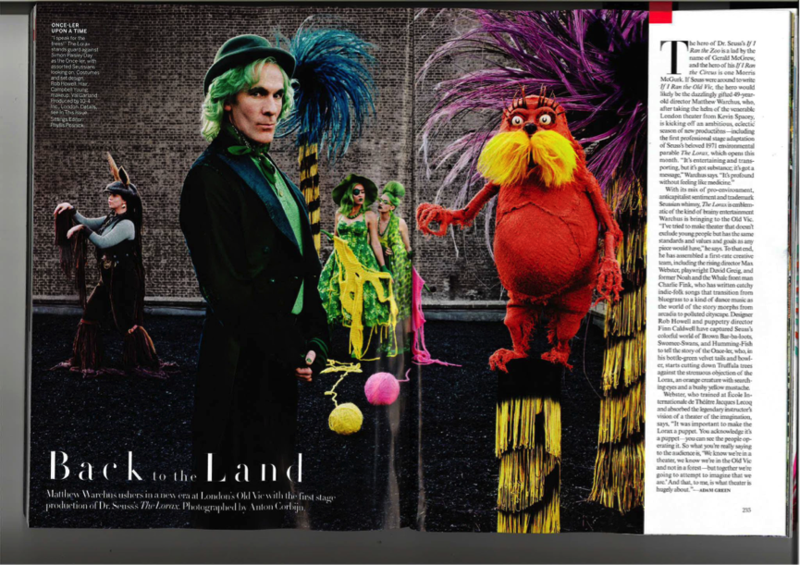 The character of the Lorax is all about speaking for the trees, planting seeds and looking after nature and I, Lorax-inspired, became a conservationist and have myself planted something like 80,000 trees. The significance of all of this to me is revealed in the names: my mother used to call me Dr Sus, I named my own son Theodore! I lost my mother one year ago to lung cancer. Her name was Anne Newton Paisley, and I named my textile business, Newton Paisley, after her. She provided rocket-fuel like encouragement to my efforts as a conservationist and artist, and I was very proud that she lived long enough to know about Newton Paisley. She also loved the fact that her son-in-law, my husband Simon, was to star in a production of The Lorax, as the greedy Onceler. It was a book she too loved, and credited with turning her daughter into a conservationist. 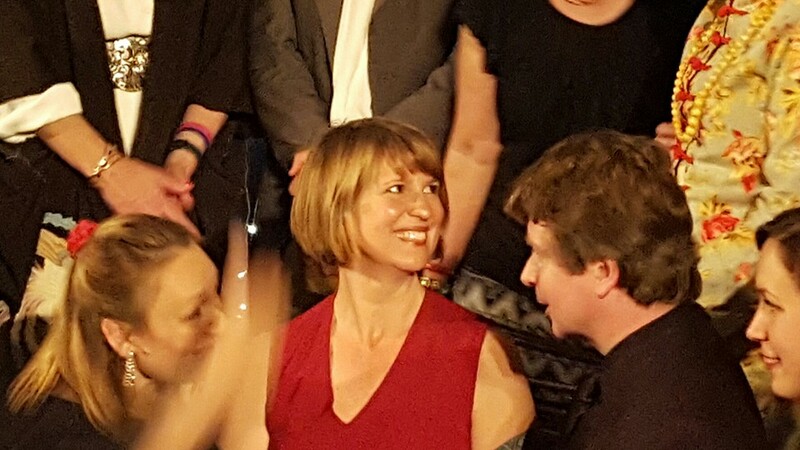 Twenty years into my relationship with my husband, it is the first time that our professional paths have crossed. My husband is from Kent, where we have now settled to raise my family. 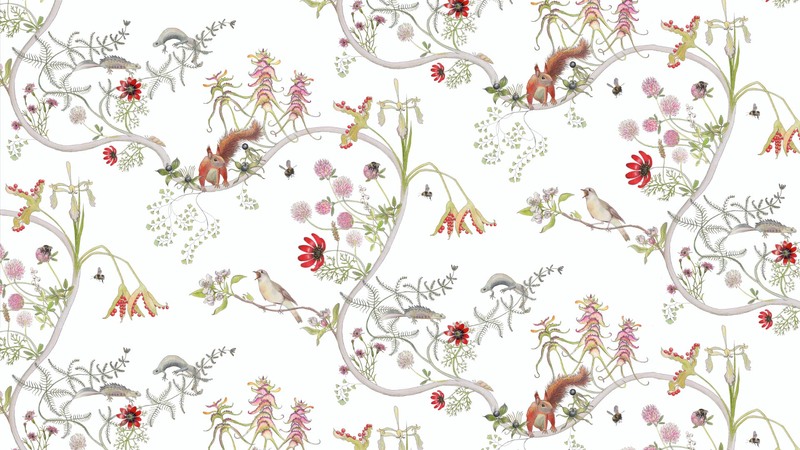 We love all these ancient Kentish woods of the Blean, the great crested newts, the cow-wheat and nightingales, and I loved commemorating all of that with this design. 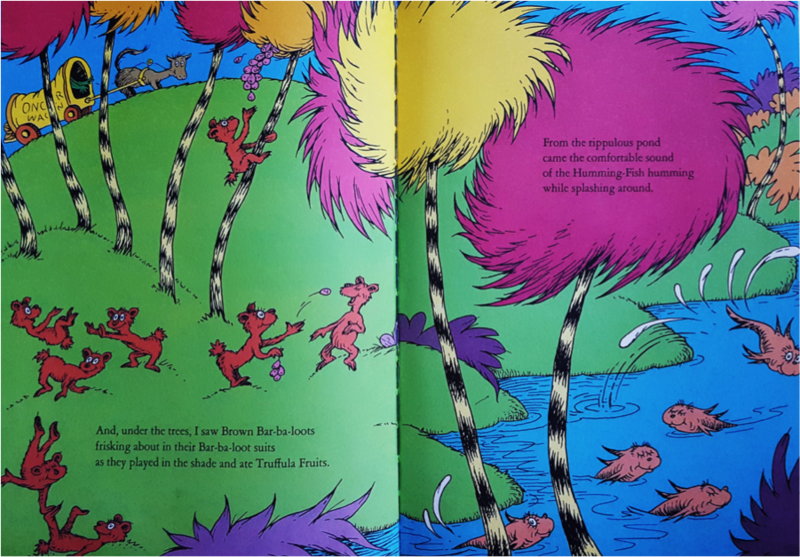 A page from Dr Suess's The Lorax showing the truffula trees, barbaloots and humming fish. 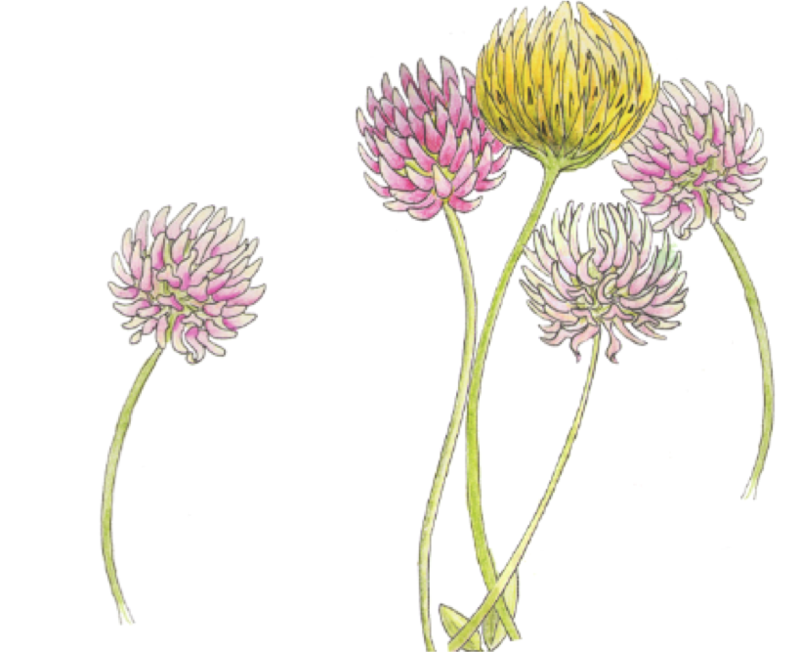 Clovers from English Lorax design, great plants for bees, and similar in shape and colour to the Truffula trees. Newton Paisley was accepted to launch at Decorex in September 2016, the premier interior design event in the United Kingdom. I’ve been going to this show just as a fan for many years, and I had a piece of hand-painted furniture exhibited there two years ago. I was very excited to be launching my first collection of fabrics as Newton Paisley. Eugenie Barrell of Cognoscentis and I thoroughly enjoyed our time at stand G22. Highlights were meeting so many fabulous and enthusiastic people like the people from Fine Cell work, Hamilton Weston and Peter Hunt who loved my work and tweeted that I was his “favourite discovery from Decorex”. Lowlights were only when: 1.) my friend Kate Coleman gave me a Disney Frozen carrier bag which I had to carry all the way through the Syon Park past all of the glamorous exhibitors and visitors and 2.) when my vegetarian friend Sarah, who was helping me on my stand on the final day, bit into what she thought was a marmalade and peanut butter sandwich but which turned out also to contain, wholly unexpectedly, quite a lot of bacon. A group of keen Japanese visitors arrived at the stand just in that moment and she had no suitable means for ejecting the offending mouthful.